Company Theatre is a community-run theatre based in The Rose Centre, Auckland, New Zealand. All of our shows from 1992 until today are displayed on the posters around the foyer walls in The Rose Centre. We perform three times a year. Phone 445 9900 to Book your tickets - Dates below. SEE a photo of the SET IN PROGRESS on the website now - it's amazing!! On the Home Page. Our FULL 2015 Season is now on the website. The Play – Hautu from The Peace Plays by Kathleen Gallagher together with Charlie Bloom, also from The Peace Plays by Kathleen Gallagher. 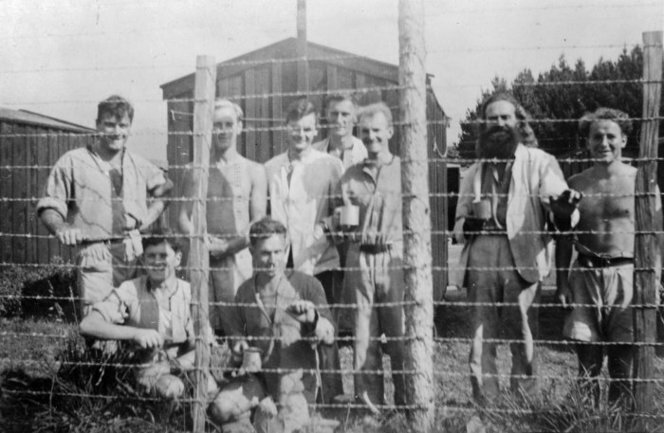 Conscientious objectors at Hautu Detention Camp near Taupo during World War 2. In the year 2015 there will be much talk of war. War has been a strong thread in the development of our nation’s identity and is a current theme in the media, especially as NZ debates its role in peace keeping and engagement with International coalitions to face the situation in Syria with ISIS. New Zealand is known and widely respected internationally for its peace stance especially in the face of Nuclear Weapons but there are many other stories to war. The world needs other voices. What have we learnt? What have we forgotten? PERFORMERS required: All ages, both genders. Actors. Dancers. We may also need some singers. Physicality will be involved including some movement and perhaps dance. Stage experience encouraged but not essential. A commitment to exploring themes using voice, drama, music, movement and effects is essential. Director’s Note for the Audition: This is a call for actors who would like to participate in a serious piece of theatre. We will be working from a script but we will be layering a theatrical experience over the script with sound, lights, images, movement, and text layering. You will be welcome to be part of developing this script into a theatrical experience. The ultimate performance should be electrifying, engaging and slightly disturbing. It should not be didactic or judgmental. We will work together, through the script, to find a set of messages and questions as we approach themes of the plays.